PTE Academic is a computer-based test that assesses the Speaking, Writing, Reading and Listening abilities of non-native speakers of English who need to demonstrate their academic English capability of obtaining places at English-speaking universities, higher education institutions or as proof of their language ability for a visa application. 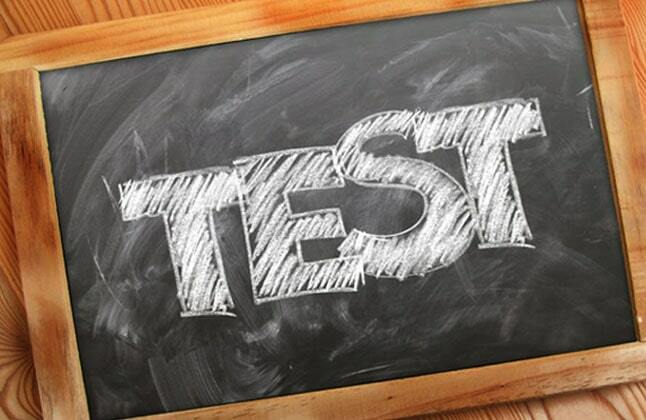 This test will last for approximately three hours and includes an introduction and an optional break of ten minutes. The PTE is accepted in 3000 courses worldwide- UK, Australia, USA. While writing your summary, make sure to include the main points of the reading passage in a single continuous sentence. You have a word count at the bottom of the screen. The PTE will test you on your ability to organise written ideas in a clear, logical and grammatical way. Your summarizations and essays have to be typed out so ensure that you have ample of typing practice as each task is individually timed. Keep a constant check on your word limit and your time, once your time is up the test will continue to the next task. The essay writing task requires you to write a response in standard academic English. You will be tested on how well you develop complex ideas and how you support your opinion with relevant examples. What Edwise Students studying PTE says. ? "I am writing this testimonial to Edwise International and especially to my tutor for PTE. I was tensed before giving my PTE exam because I got my passport late and I had to clear the exam in a single attempt. I explained the situation to her. She helped me a lot. Those two sessions were really very crucial for me as I scored 77/90 in PTE with 90/90 in speaking. This score has also helped me in getting a part time job in Australia as well. My tutor was very calm, understanding, I am really thankful to Edwise and for the overall experience with a Coaching Dept." "I achieved this score with the hard work and dedication of the expert Edwise faculties. I was guided in the right direction and was informed of many tips and tricks of the sections, this helped me during my test. The mantra here is to just practise alot and give enough time to your preparation. I thank Edwise Consultants and the team for being of great help along the way." "Edwise has provided me with the correct guidance for my education abroad. I am overwhelmed with the quality training I received. It was the first step towards a brighter future and I am glad I took this step. Thank you Edwise for your support and guidance."